LOCATION LOCATION, Great Neighborhood This is a true fixer-upper. Huge value upside when renovation completed. Some wall demolition has already been done for your convenience!! With Big Corner 6250 sq.ft. 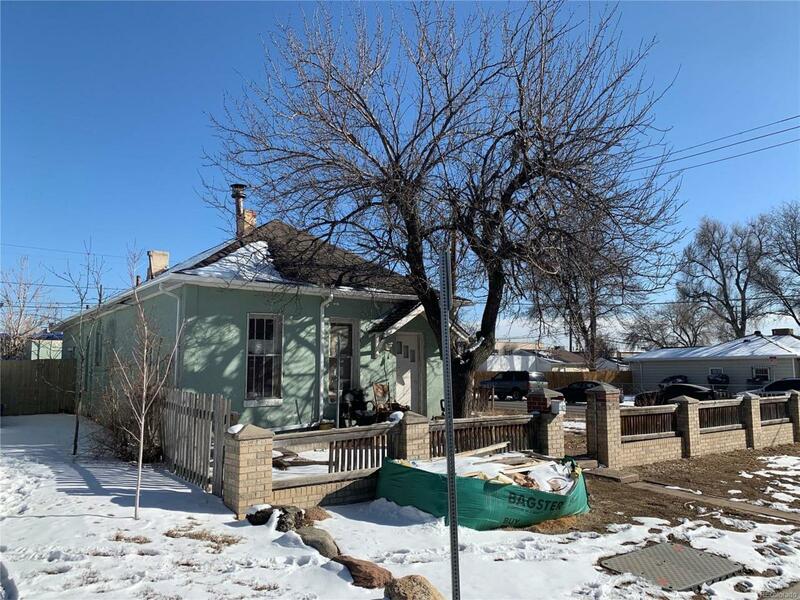 lot and great income potential please review Denver Zoning. Separate "Carriage House" can be built in back. All offers must be accompanied by proof of funds and buyers must walk the property before writing offers. House is being sold "AS-IS". This is a project for anyone wanting to create!Neighborhood of Villa Park has Tons of Perks! Walk to Paco Sanchez Park, which is being completely redesigned into an Adventure Park unlike anything else in Denver and Great Proximity to Light Rail Station (.8 miles) and bus stop (0.1 miles) from the property. Easy Commuting. One mile to Bronco Stadium, Close to Sun Valley Development.